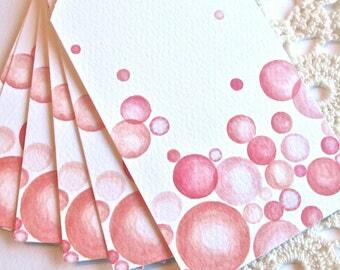 Make your gifts stand out with our original gift tags! These fun, colorful tags were designed from our original art, Garden Tools 1 & 2. Printed on 100 lb. stock using archival inks, hand cut with rounded corners. 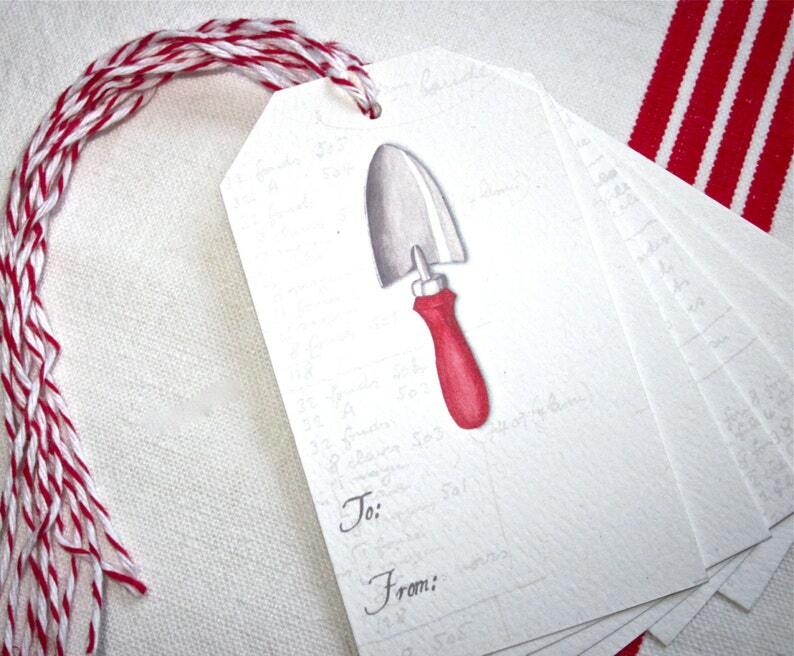 Tags measure 2" x 3.5", come in a set of six, two of each:trowel, spade, cultivator, and include classic red and white baker's twine for fastening.